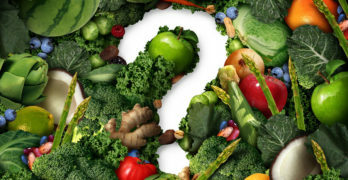 Anonymous User Information: Nutrition Tribune collects some anonymous information each time you visit Nutrition Tribune so we can improve the overall quality of your online experience. We collect your IP address, referral data, and browser and platform type. You do not have to register with Nutrition Tribune before we can collect this anonymous information. We do not collect any unique information about you (such as your name, e-mail address, etc.) except when you specifically and knowingly provide such information. Nutrition Tribune does not require you to share information that identifies you personally, such as your name or email address, in order for you to use the Nutrition Tribune search. Nutrition Tribune assigns an anonymous ID number to your requests and links the following additional data to that number: the date and time you visited Nutrition Tribune, your search terms, and the links upon which you choose to click. Like most standard Web site servers, we use log files to collect and store this anonymous user information. We analyze this information to examine trends, administer the site, track user’s movement in the aggregate, and gather broad demographic information for aggregate use. Nutrition Tribune may present links in a format that enable us to understand whether they have been followed. We use this information to understand and improve the quality of the Nutrition Tribune search. Information security: We take appropriate security measures to protect against unauthorized access to or unauthorized alteration, disclosure or destruction of data. We restrict access to your personally identifying information to employees who need to know that information in order to operate, develop or improve our services. If you have an account, we may share the information submitted under your account among all of our services in order to provide you with a seamless experience and to improve the quality of our services. We will not disclose your account information to other people or non-affiliated companies, except in the limited circumstances described in this Policy or with your consent. We may store and process personal information collected on our site in the Canada or any other country in which Nutrition Tribune or its agents maintain facilities. By using our services, you consent to the transfer of your information among these facilities, including those located outside your country. We may use third-party service providers to serve ads and emails on our behalf. These companies may use technologies to measure the effectiveness of ads and emails and use information about your visits to Nutrition Tribune so that we can provide a better search experience to you. For this purpose, we may also provide these third parties service providers anonymous information about your site navigation. We may share certain information about you with carefully selected business partners, including those who may offer services that complement those provided by us or which we believe may be of interest to you. We may also disclose information to third parties who assist us in providing our services to you. For example, we may engage third parties to make improvements on our site, to offer new products and to allow us to customize your experience on the Site. Correspondence: If you contact Nutrition Tribune, we may keep a record of that correspondence and we may collect your email address. Nutrition Tribune contains links to other sites on the Web. Please be aware that Nutrition Tribune is not responsible for the privacy practices of such other sites. We encourage our users to be aware when they leave our site and to read the privacy statements of each and every Web site that collects personally identifiable information. This privacy statement applies solely to information collected by this Web site. Children’s Privacy: Nutrition Tribune does not knowingly request or collect personally identifiable information online or offline contact information from users under 13 years of age nor do we knowingly use or share personal information from users under 13 years of age with third parties. Sale of Assets: In the event that another company acquires all or substantially all of the assets related to the business of Nutrition Tribune, we reserve the right to include any or all stored personal information among the assets transferred to the acquiring company. The Anabolic Window: Fact or Fiction?